It is a serious issue and one I do not have the moral fiber to discuss since I also resigned a job and left for America many years ago. Yet, because commenting is free, I will go ahead. 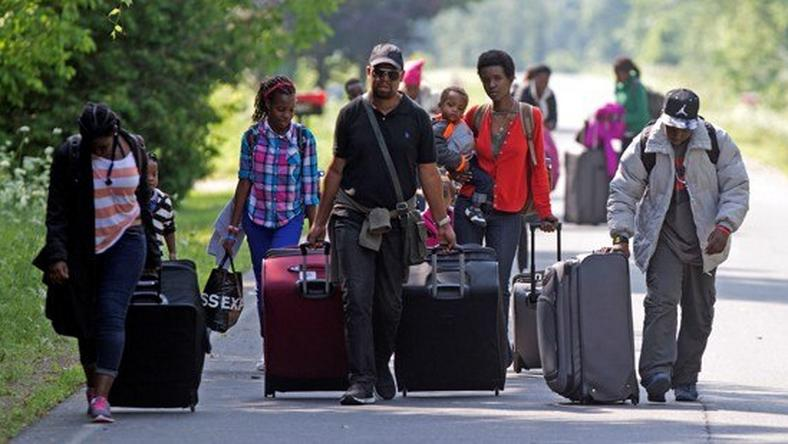 There is a big exodus happening in Nigeria right now, and the destination is Canada. When I say exodus, I mean real type like the one described in the recorded Exodus. Lol. As at 2017, there were over 11,000 Nigerian students in Canada. They hardly go back to Nigeria after graduation. Canada will gladly keep them to work because of their skills acquired through relatively high international school fees paid by parents from back home. This is a win-win situation: Canada gains from the inflow of revenue through international school fees from Nigeria and other foreign lands, retains the highly skilled hands after their graduation; Nigerians and other foreign nationals find abode in Canada and partake in the robust economy under a relatively peaceful and prosperous society. Today, as I write, a company in Victoria Island is shutting down a department after all staff received the Canadian immigration visas. 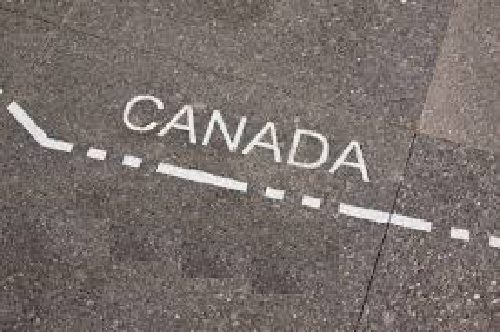 They are going to Canada, and Canada is asking for more. If you have a top-grade team, managing the Canadian risk is a big issue now in Africa. But finding answers will be very hard: you cannot take away the rights of people to put their services whenever they desire. Yes, the ILO guarantees many times including the rights of people to freely work without impediments imposed on illegal contracts. Yet, if the Nigerian government has not seen this trajectory, it is blind. Our problem now is not training and developing talent, but actually keeping the talented people in Nigeria. Most young developers are moving into Europe to code, and some living in Lagos are actually working outside Nigeria, receiving payments via wire transfers. So, that your neighbor who does not leave house, in the day, may be working in Amsterdam via his laptop! It is very crazy as I had a Nigerian entrepreneur living in U.S. who told me he was going to Lagos last month to hire three software engineers. It is a slam dunk decision: he would save tons of money doing just that! Of course, you know about the exodus of doctors from Nigeria. If you check the class of 2010, from any decent medical college in Nigeria, I am sure more than 90% of the doctors are outside Nigeria. Those finishing this year will be off by 2025. And yet, government massively subsidizes medical education only not to have a plan on how to retain the medical graduates. See it this way: Nigeria is subsidizing medical manpower in UK, Canada and Australia where most of our doctors relocate. I hinted on a partial solution in a piece in Harvard Business Review. But that is just someone with no real or imagined power writing. Nigerian leaders must get real – this country is bleeding talent! The problem with this post is that more than 50% of the probable commenters are ‘guilty’, including the author! But in the spirit of commenting being free, everyone is highly welcome. It’s a quandary, with no clear solution. It is not easy to remain in Nigeria, especially when you have the means to run away. It is also not easy to convince another person to stay, when the person’s world seems to be crashing on his/her head. Even those who are holding on at the moment may soon run away as well, once they run out of ideas/excuses on why they must remain here. Staying in Nigeria requires a special talent, which only few people have, the rest are waiting for their turn to run away, so do not think the people you see around or call from the other side of the Atlantic really want to be here; they are also counting days. At least we have handed governance and fixing Nigeria to average people, then waiting for the almighty ‘fix’, so that we can congregate in Nigeria and sing “no place like home”, it may never happen! The greatest damage they did to us was colonisation, which didn’t end with independence, it continued, especially psychologically, which is even more powerful. Since Canada is asking for more, then its a positive direction for Nigerians whom have skills that fit. Since Canada is asking for more people, its a win – win for Nigerians that have employable skills.